Potatoes are highly appreciated for their nutritional value and incredible culinary versatility. 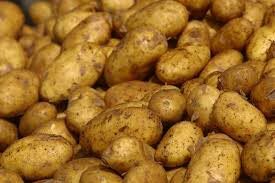 Our company is a proficient Supplier and Exporter of Fresh Potato from Thailand. The Fresh Potato offered by us is grown in neat and hygienic conditions without using any harmful fertilizers. Owing to our reliable sourcing network, we are capable of delivering bulk orders of the Potato within stipulated time.